If there are two singular humans whose Christmas wishlists we'd absolutely love to see, it's probably Mary-Kate and Ashley Olsen. And today, we've lucked out! The twins shared their innermost holiday desires with ELLE, and now the rest of the world shall benefit from their impeccable taste. On the list of goodies they want for themselves (and, presumably, also want you to shop) is a set of cashmere scarves from their brand The Row, a vintage Van Cleef lighter, a vintage set of Cartier playing cards, and (somewhat out of place, we must confess) a bundle of sage sticks ready to be burned. The downside of this list: Everything is "price upon request," and it's all only available in The Row flagship store in Los Angeles. 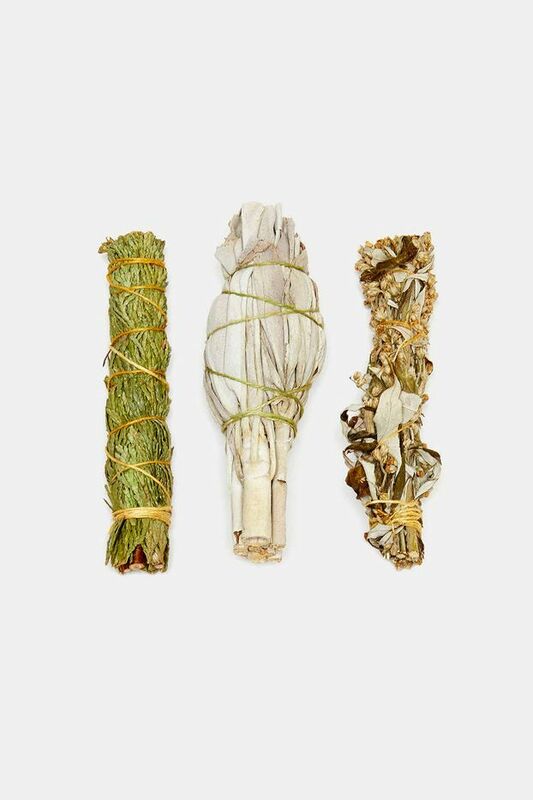 Racked did some digging and uncovered that the sage sticks are only $20 for a small bundle, which is probably the most affordable item the Olsens have ever wished for in their lives. But considering that their entire wishlist is only available at the store, we made a few similar selects of our own. Head to ELLE to see the Olsens' wishlist, then keep scrolling to see our own!